"Because Life is More Fun at the Top"
As a motor company – not a boat company – we’ve been “building up” to this for years. 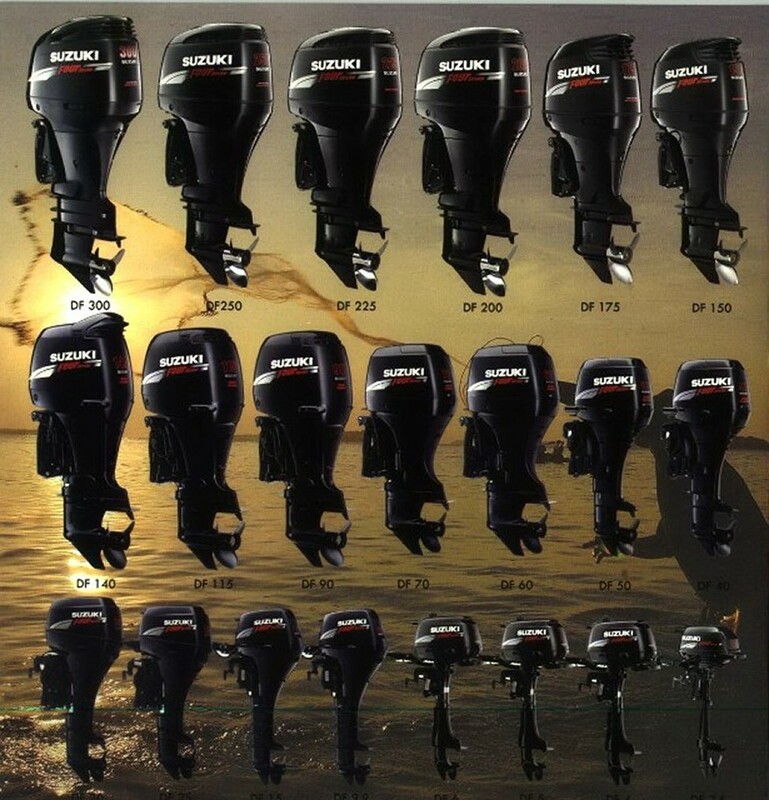 Frankly, the other guys never had a chance No other outboard company could draw on Suzuki’s technology and experience designing high-output, lightweight 4-stroke engines for the worldwide marine, automobile, motorcycle and ATV markets. The result is the industry’s largest all-4-stroke lineup. From our mini-might 2.5 horsepower portable right up to our new flagship 4-liter 300-horsepower V6, Suzuki offers a powerful choice for every American boater. Twenty models in all, each packed with advanced features and cutting edge technology that could only come from the 4-stroke leader. We may have reached the top of the mountain, but we’re not done climbing. Expect bigger and better things from Suzuki in the future. We do. Like more powerful, quiet and fuel efficient 4-strokes that give boaters the performance and reliability they demand. And a growing national dealer network to provide the service, support and accessories boaters need.